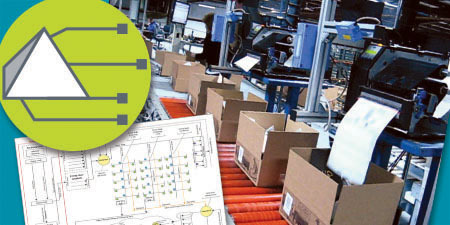 Pyramid Director WCS: Connecting and Controlling Automated Equipment. Sophisticated software that supports complex applications. 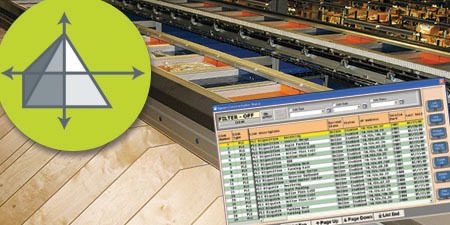 Pyramid Director Warehouse Control Software (WCS) runs under Microsoft Windows™ and utilizes unique, highly-efficient program services that launch applications and handle communications between them. The front-end screens are developed using the .NET framework. 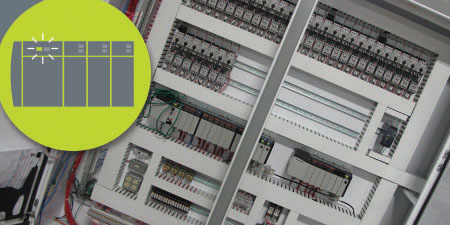 All the backend, real-time, server-based applications are time sensitive and can support complex applications such as high speed sorting and host, peer and programmable logic controller (PLC) communications. Our database management system (DBMS) is based on Microsoft SQL Server™, while communication with our applications is facilitated through SQL or Windows authentication. Pyramid has also developed many custom web applications for customers utilizing Cold Fusion, Java, C, C++, Visual Basic, C#.NET and others. Director WCS plays well with others. In addition, Director WCS has been successfully integrated with the control technologies utilized in a variety of material handling equipment (MHE) from all industry leading OEMs, including AB/Rockwell, Siemens and many others.